Couple a challenging economic and political climate with an industry in the throes of a rapid digital evolution and it is little wonder that reducing costs and driving efficiencies is on top of every executive’s wish list. Yet surprisingly, 35% of contact centres supporting voice channels, and more than half (51.4%) of teams assisting customers on digital channels, have no workforce management targets in place to maximise their efficiency. 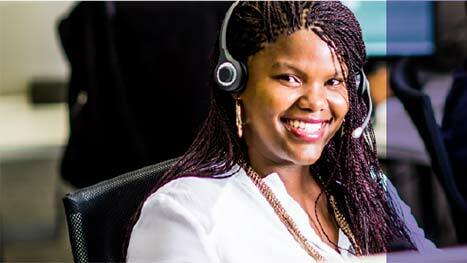 Merchants provided a large South African financial institution with a training initiative which included an overview of WFM contact centre best practices, managerial role profiles and responsibilities and trends that affect contact centres. This process was part of a larger 12-month WFM Assessment and Implementation project. The engaged team also learnt about understanding service goals, identifying areas for attention, and communicating effectively with management, as well as how to evaluate employee performance through the use of the correct contact centre metrics and establish monitoring programmes. Finally, the team was also given insight into global considerations, such as the impact of armed conflict between different countries or groups within a country and the impact this would have on, for example oil prices, and in return the forecasted consequence on both onshore and offshore commodity prices and consumer behaviour in contacting our centres. Within the contact centre industry, little to no actual contact centre training is provided at a specialist level. Contact centre career progression in most cases suggests that “super-agents” are promoted to Supervisors, Team Leaders, and eventually Quality, WFM or Operational Management. Team members have different interpretations of contact centre metrics and these are generally legacy metrics which “have always been measured this way”. Third parties, such as the marketing department, often have a direct effect on the contact centre, for example when public campaigns are implemented, the contact centre is responsible for handling the subsequent influx of customer interactions resulting from the external communication. Contact centres should be given the knowledge and tools to be able to forecast when the best time to launch external campaigns should be. The contact centre should have the management information to be able to accurately forecast response rate according to certain days and times; as well as media type dependant response delay. The direct correlation between the ignorantly managed influx of third-party driven interactions and deteriorated customer experience cannot be overlooked. Our facilitation process followed an operationally biased, practical approach where real-life situations and current challenges were discussed and work shopped. The training is specifically geared towards understanding the basic principles of contact centres and aimed at highlighting how WFM should form the core of all lines of business, their directly linked processes and their engagements with the contact centre. Merchants’ facilitation process involves Pre and Post Knowledge Assessments to gauge knowledge levels. The results for 21 attendees, after two days of training amounted to an 86% increase in overall efficiency. A single delegate had an 850% increase in knowledge.The business units within the financial institution which were within scope are performing well from a revenue perspective. They have average to good sales conversion ratios in their outbound centres and high participation from an inbound branch-initiated sales perspective. There was a requirement for management to correctly interpret the data they receive, be able to question the integrity of the data and have confidence in their management reporting.In our analysis we found that management’s method of measuring and managing team members is consistently disparate between internal departments. Often team members are measured on site-level metrics, such as Occupancy or Number of Inbound Calls Handled – an aspect that the team member has little to no control over. These varying reporting and metric formats are then provided to internal stakeholders for consolidation. Businesses then use this information to make strategic decisions, however these decisions may be based on misinformation. Management must be able to correctly interpret the data they receive, be able to question the integrity of the data and have confidence in their management reporting. Merchants also identified Staff-Time and In-call Hold Time as two additional metrics that would provide more opportunities. The Staff Time metric analysis was performed using several months’ data. Once anomalies were identified, Merchants calculated the potential opportunity value of a single month for reporting purposes. It was found that 28% of agents did not achieve the contractual amount of hours per month. This translated into costs and annualised is an opportunity value of approximately ZAR3m. The second metric was that of In-call Hold Time. Merchants calculated the weighted hold time and the results indicated that 53% of in-call hold times exceeded this benchmark. With a reduction and management of agent hold time, the opportunity value calculated was around ZAR700k. During the engagement with the financial institution, Merchants derived an overall 86% in management efficiency as well as a ZAR6,8m opportunity value within existing projects. The above case study includes only two of the many metric and measurements found within contact centres and within these two metrics, an opportunity to the value of approximately ZAR3,7m exists. As Merchants we pride ourselves in identifying and translating these efficiencies to best enable our clients. In just two of the many metric and measurements found within contact centres an opportunity to the value of approximately ZAR3,7m exists, how much more in the other metrics?